Monitors your skin moles over time and warns you if there’s a problem. 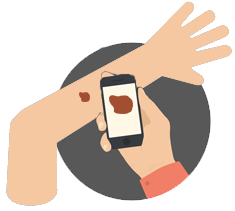 Dermatic takes automated measurements of your moles to help prevent skin cancer. So you can stop worrying about your moles - Dermatic has you covered. *Please note that Dermatic is not a diagnostic or therapeutic device. It is intended for imaging, archiving and communication only. 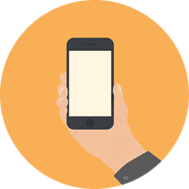 If you change your phone, there’s no need to buy a new Dermatic - we’ll send you a suitable cover for free. Fast and painless. 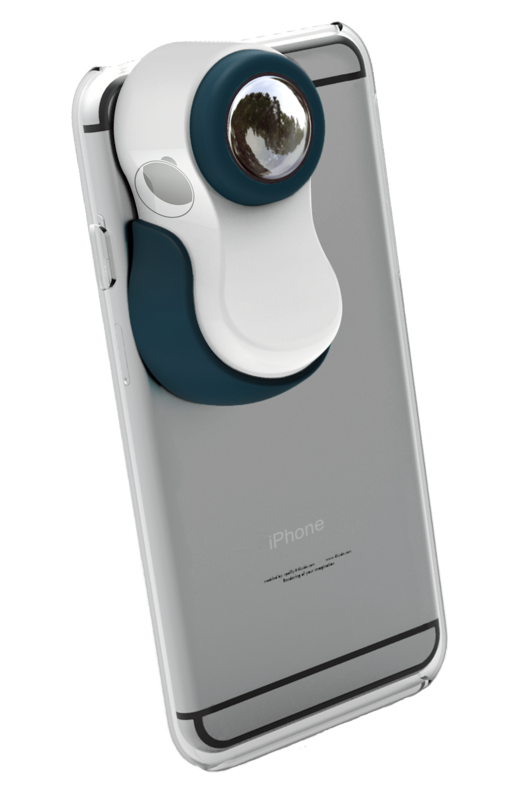 Place the phone lens in contact with your skin: this is the optimum distance from the mole. The optical lenses and LEDs give you crystal clear photos no matter what. 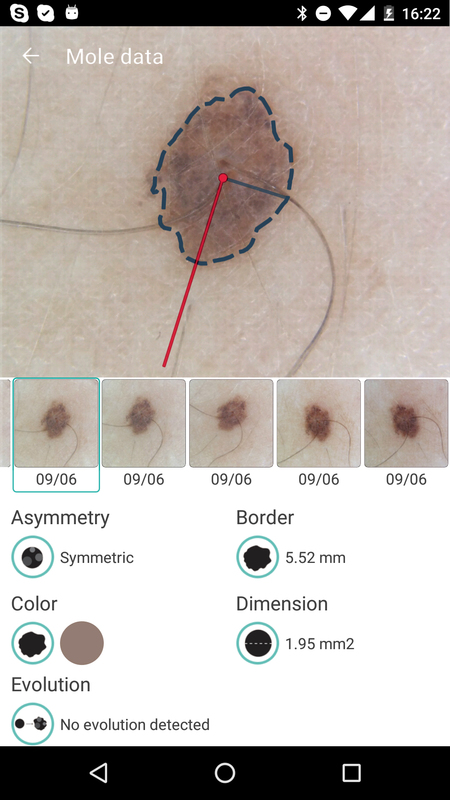 Our analysis algorithms extract a number of parameters from your photos that will help you compare your moles with the previous shots: do you notice any asymmetry, irregular borders, color changes, increased diameter or noticeable differences? 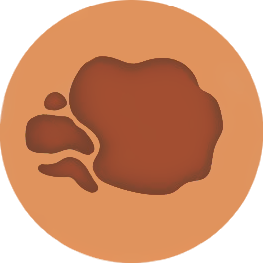 The doctor will examine your suspicious moles remotely, compare them with your other moles, and will have access to our parameters (area, borders, dimension) in order to provide an initial opinion. Since the 1990s, skin cancer has affected more people than all other cancers combined. Seven out of ten skin cancers are first detected by patients or family members, but sometimes too late. If caught in time, the survival rate is 98%. 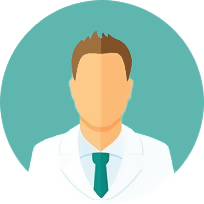 Dermatic is designed to help you prevent skin cancer. 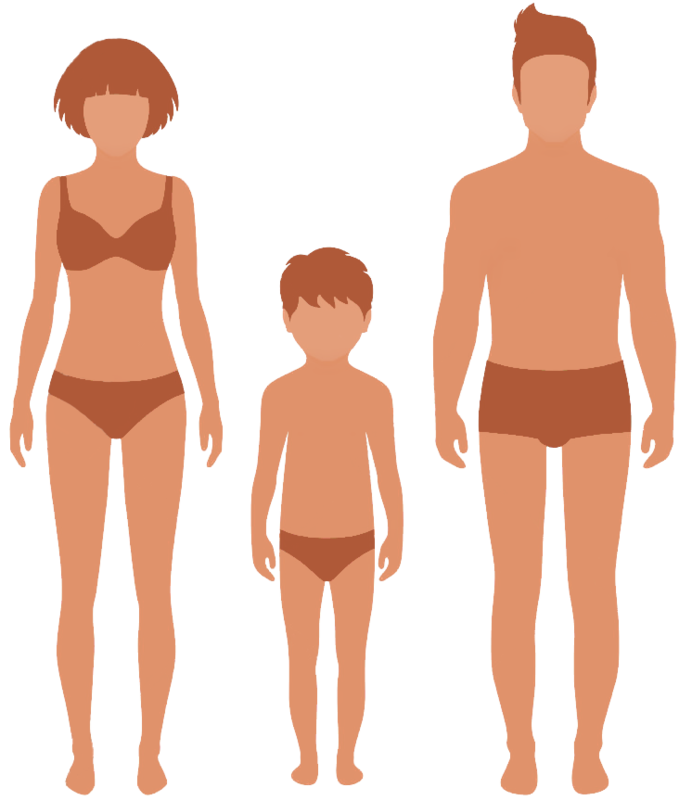 Skin cancer is the most common and deadly kind of cancer, but has a very high survival rate when diagnosed early. Dermatic combines the accuracy of a medical tool with the ease of a portable home device. With Dermatic, self-screening has never been so easy. Dermatic highlights the differences between images, reports parameter variations and helps you understand your moles better and monitor them more effectively. Why can’t I just use my phone camera? Optical zoom, focused lights and image analysis algorithms. Guided full-body scan and weekly reminders. These really make the difference.